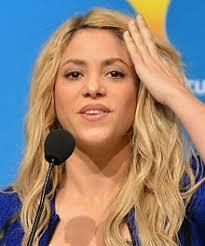 Shakira cancels tour, hopes for June return – Royal Times of Nigeria. Colombian pop star Shakira on Wednesday cancelled the remainder of her world tour because of a problem with her vocal cords and said she hoped to be back on stage in June of next year. “Though I very much hoped to be able to recover my vocal cords in time to pick the tour back up in January, and after exploring many options to that effect, I have accepted that this is an injury that simply needs more time and care to heal,” Shakira said in a statement on her website. The “Hips Don’t Lie” star cancelled the European leg of her “El Dorado World Tour” in November. She said she hoped to resume the tour in June 2018 with concerts in Europe, the United States and Latin America. “I feel for all of you who planned ahead to come to these shows and who have been so patient as I took the time needed to figure out the best course of action with my doctors,” Shakira said.